Mohamed Salah's goal-of-the-season contender secured a crucial 2-0 victory over Chelsea as Liverpool roared back to the top of the Premier League at a jubilant Anfield. Manchester City laid down the gauntlet to Liverpool with victory at Crystal Palace earlier on Super Sunday, but the Reds produced an emphatic response as Sadio Mane's header (51) and Salah's 25-yard thunderbolt (53) restored Jurgen Klopp's side's two-point lead over the champions. Eden Hazard had two chances to salvage something for Chelsea but was denied by the woodwork and Alisson in quick succession, as Maurizio Sarri's decision to start without a recognised striker backfired. The victory, Klopp's first at home over Chelsea on his 200th game in charge, leaves Liverpool two points clear at the top of the table having played a game more than City, and dents the fourth-placed Blues' hopes of qualifying for the Champions League. 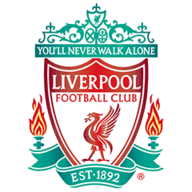 Liverpool: Alisson (8), Alexander-Arnold (7), Matip (7), Van Dijk (8), Robertson (8), Henderson (8), Fabinho (7), Keita (7), Mane (8), Firmino (7), Salah (8). Chelsea: Kepa (6), Azpilicueta (5), Luiz (6), Rudiger (6), Emerson (5), Jorginho (6), Kante (6), Loftus-Cheek (6), Willian (5), Hudson-Odoi (5), Hazard (7). Subs: Christensen (6), Barkley (5), Higuain (5). Anfield fell silent ahead of kick-off as Liverpool remembered the 96 victims of the Hillsborough 30 years on from the disaster, and the hosts responded to the emotionally-charged atmosphere with a dominant opening spell. Salah's first-time volley from Mane's left-wing cross nearly sealed the perfect start inside six minutes, but Chelsea goalkeeper Kepa Arrizabalaga was right behind the effort. After Salah saw appeals for a penalty turned down following a collision with David Luiz on 14 minutes, Hazard registered Chelsea's first attempt on target, jinking away from Joel Matip before unleashing a low shot which Alisson saved comfortably. 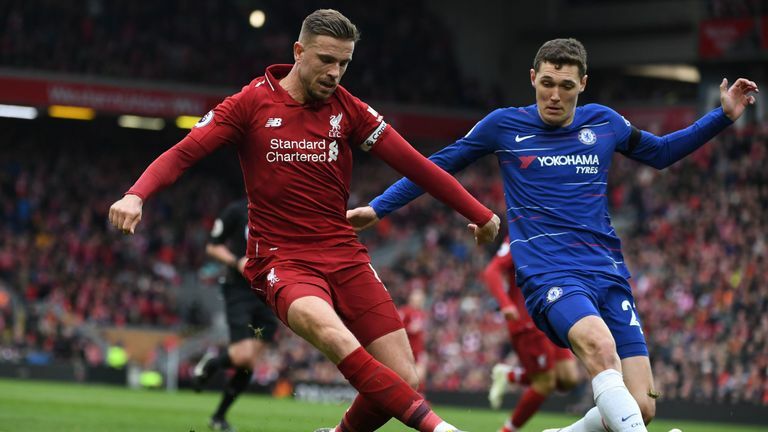 Luiz deflected a goal-bound Jordan Henderson shot over on 26 minutes after Salah's cushioned header presented the Liverpool skipper with a sight of goal. Anfield then breathed a collective sigh of relief on half hour as Willian sliced a shot wide from the edge of the area after an instinctive David Luiz long passed released the winger in behind the advanced Liverpool defence. Mane uncharacteristically curled wide from 18 yards after Salah's cutback found him in space in the area six minutes before the interval, but the breakthrough came on 51 minutes as Henderson's floated ball to the back post found the Senegal international, and he stooped to head the opener beyond the despairing dive of Kepa. But the best was yet to come. Salah cut in off the right and unleashed an unstoppable drive across the Chelsea 'keeper into the top left-hand corner, sparking pandemonium inside Anfield. 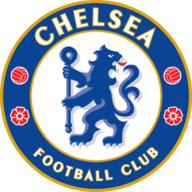 A shell-shocked Chelsea nearly got back into the game with two chances on the hour, but Hazard fired against the post after racing onto ball over the top before the Belgian was thwarted by Alisson at point-blank range after he turned Willian's cross on target. 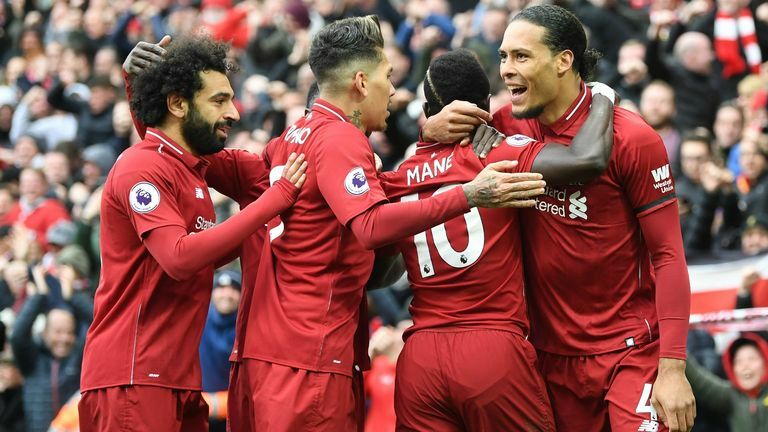 But Liverpool regained control of their emotions and saw out a sensational victory that may have just swung the momentum in the title race in their favour. Chelsea have lost their last six away Premier League matches against fellow 'big six' opponents, conceding 16 goals across those defeats. This was Liverpool's 26th Premier League victory of the season, equalling their record from the 2013-14 campaign under Brendan Rodgers. 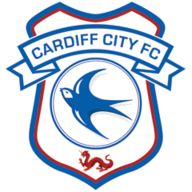 They last won more in a top-flight season in 1978-79 (30 wins). Sadio Mane has scored 21 goals in all competitions this season - his best tally in a season for an English side. Since the start of last season, Liverpool's Mohamed Salah has scored more goals in all competitions than any other Premier League player (66). 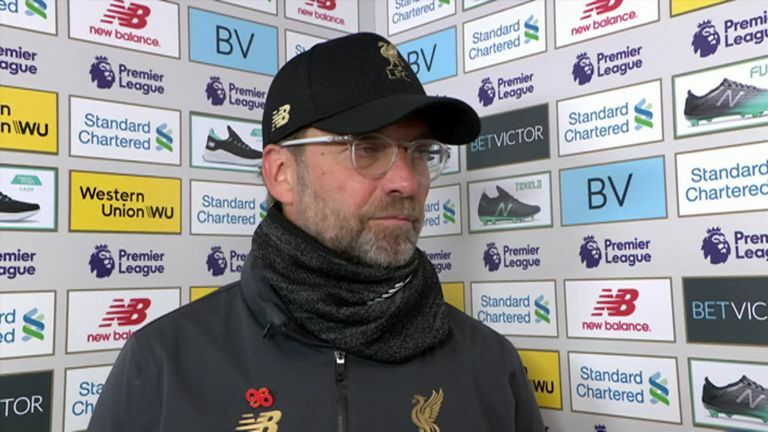 Jurgen Klopp: "It was a really good game, difficult against strong opponents. I thought we dominated in areas. The rhythm was really good. We tried, created, passed and shot - we did pretty much everything. Salah's goal was brilliant, world-class. A really, really, good goal from our side. It was a brilliant goal in all departments." 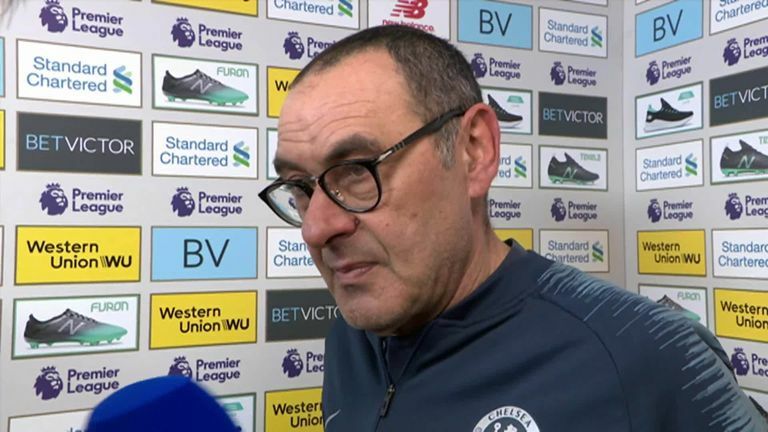 Speaking after Chelsea’s 2-0 defeat to Liverpool, Maurizio Sarri said he and his players will continue to fight for a place in the top four of the Premier League. Maurizio Sarri: "We played a good match against wonderful opponents. We stayed in the match for 50 minutes. Probably at this moment they are better than us, but we are going the right way. We are improving. Three months ago, we were not able to stay in the match." Henderson produced a captain's performance when Liverpool needed it most, with no room for error after City's win at Palace. Henderson watched on from the stands as Liverpool handed City the initiative in the 2014 title race, five years on there was no chance he would allow that to happen again on his watch. Set the tone with his driving runs from midfield and crossed brilliantly for Mane's opener. Liverpool look to confirm their place in the Champions League semi-finals as they defend a two-goal first-leg lead away in Porto on Wednesday (8pm BST), before travelling to Cardiff on Super Sunday - live on Sky Sports Premier League (4pm). 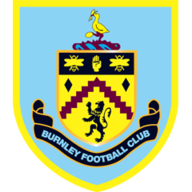 Chelsea host Slavia Prague in the Europa League quarter-finals on Thursday (8pm), before Burnley make the trip to Stamford Bridge on an Easter edition of Monday Night Football - live on Sky Sports Premier League (8pm).